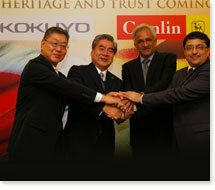 In May 2011, Kokuyo and Camlin came together to create Kokuyo Camlin Limited. Kokuyo S&T Co. Ltd., a wholly owned subsidiary of Kokuyo Company Limited, acquired a controlling stake in Camlin Limited from the promoters. The name of the company has now been changed to Kokuyo Camlin Limited. With a sharp focus and a clear goal to leverage existing strength and presence, Kokuyo Camlin Limited is all set to begin a new chapter in the stationery business. The expertise, reach and brand equity of Camlin will be supplemented with Kokuyo’s innovative new office stationery products, world class R&D and a strong presence in Asian geographies. Going forward, as the two legacies and leaders come together, their synergy will lead to more strength and success. Like the Kokuyo Group, Camlin has been in existence for more than 80 years with a rich legacy and a proud history. Starting its operations in 1931 Camlin started manufacturing Horse Brand lnk powders and tables followed by Camel lnk which eventually led to the creation of its flagship brand Camlin in 1946. Over the years Camlin has expanded into art materials, scholastic materials, hobby materials, office stationery products and corporate gifts. Camlin today is one of the most trusted and renowned brands in India with over 2100 products and a reach extending to over 5.5 crore households. The Kokuyo Group is a Japanese business house that's over a century old, founded in 1905 in Osaka, Japan. It started as book-cover makers for "Wacho" (Traditional Japanese Account Book). Kokuyo today is a - 17,600 crore group with businesses spread all over Asia and Europe and offices in China, HongKong, Thailand, Singapore, Malaysia, and Vietnam. 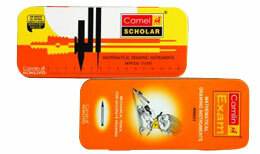 Their main product lines include Office Stationery notebooks, office supplies and office furniture. The company is officially listed on the Osaka and Tokyo Stock Exchange. Their flagship brand is Kokuyo, a household name in office stationery products in Japan.